Chris Vandervleit, a vehicle technician from Essex has driven to victory at Barford Lakes on Wednesday (15th April) winning the third round of PartyPoker.com Fish ‘O’ Mania 2009, the biggest prize pot in angling. A complete field of 130 anglers took to the well known Norfolk venue, with various predictions as to which lake would produce the winner. However no-one believed that Match Lake, where eventual winner Chris was fishing, would come up trumps in the warm and changeable conditions. The Essex angler fished from peg 2 where he alternated between a 16 metre pole and pellet waggler fishing 6mm and 8mm pellets shallow. This proved a winning formula as he caught a succession of carp throughout the day with his biggest fish of 10lbs and a final weight of 138lbs 6ozs. 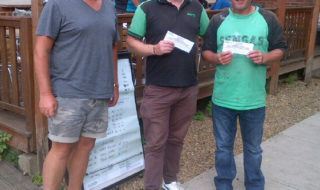 This year’s unlucky angler looks set to be Lee Thornton who finished in third place at Lakeview last Saturday He has now added a second placed finish at Barford ending almost 8lbs behind Maver Image Van Den Eynde winner Chris. Lee was fishing from peg 14 on Top Lake where he fed 6mm pellets shallow, taking carp up to 10lbs. 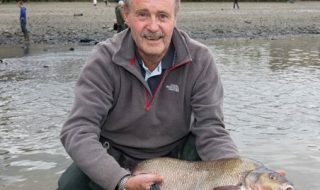 Lee who fishes for MAP/BAGEM will be understandably disappointed although his finishing match weight of 130lbs 9ozs was far ahead of the third place angler Steve Cooke. Third place went to former Fish ’O’ Mania winner Steve Cooke from Retford in Nottinghamshire who drew peg 33 on Willow Lake. Fishing 6mm pellets shallow Steve took an all carp net weighing in at 114lbs 15ozs with the biggest fish weighing 14lbs. Dave Reeve from Woodbridge was fourth fishing pellet waggler from peg 7 on Pleasure Lake catching his biggest fish of 14lbs and a final weight of 111lbs 15ozs. 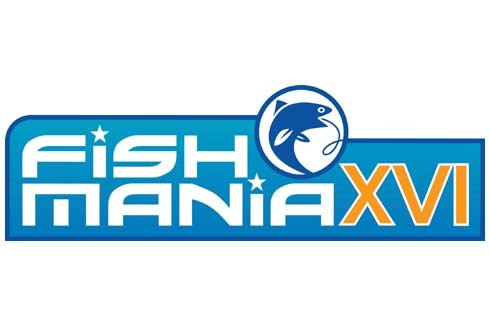 Another past Fish ‘O’ Mania champion, Steve Ringer who won in 1998 finished in fifth place fishing pole and pellet waggler from peg 4 on Pleasure Lake ending the match with 102lbs 1oz. Barford as always proved to be a strong performing qualifier with the top six anglers all recording over 100lbs with Andy May landing 100lbs 4ozs to finish sixth. 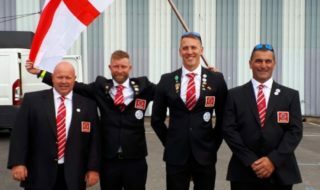 The competition now moves to Octoplus Boldings in Shropshire on Saturday 25th April, where another 130 anglers will look to follow in the footsteps of Chris Vandervleit, the third finalist of the year.